Oleśnica lies 30 km north-east of Wrocław. You may reach it down the road no 8 towards Piotrków Trybunalski. 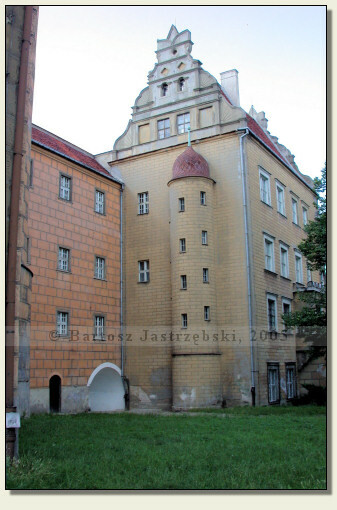 In Oleśnica you have to head for the center and in the market square, behind the church there is a castle. 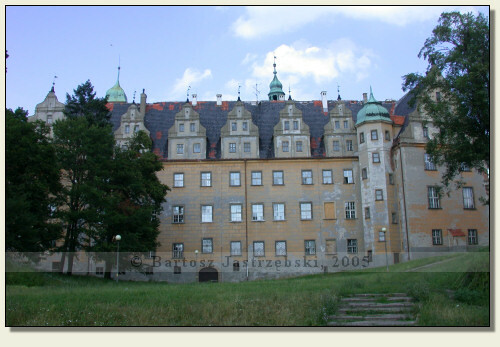 The castle in Oleśnica would not have arisen if the Duchy of Oleśnica had not been founded. 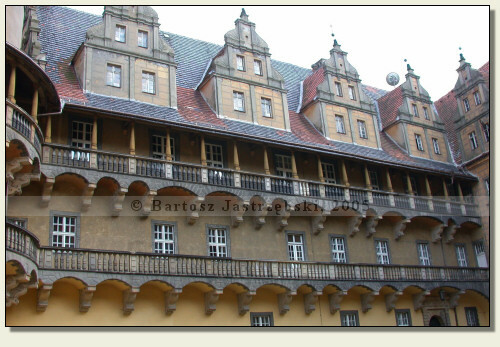 Since however the duke Konrad I needed a representative mansion, in the middle of the XIVth cent. 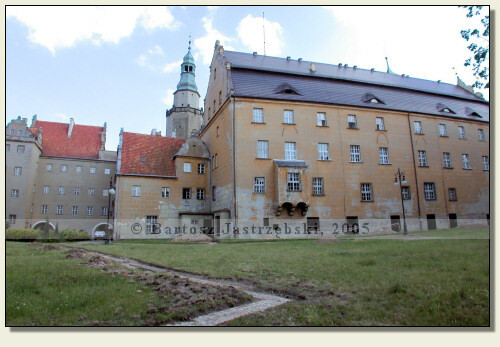 built the castle in Oleśnica, probably at the place of the earlier castellan borough. Already in the second half of the XIVth cent. the castle turned out to be too small and its extension was begun. The next one took place in the middle of the XVIth cent. 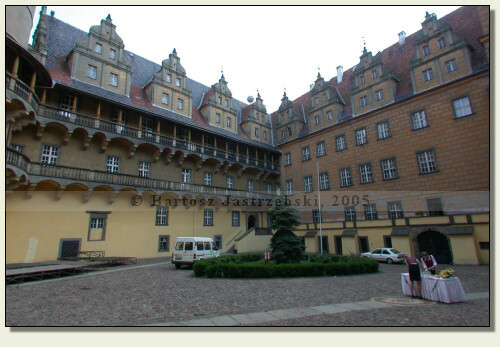 by the order of the duke George of Poděbrady and metamorphosed the castle into a renaissance palace. 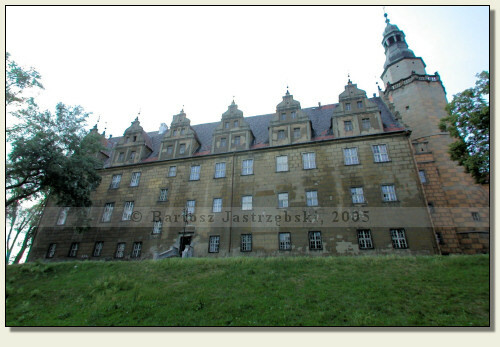 The next owner of the castle, the duke Charles II of Poděbrady, started a renewed conversion of the castle in the years of 1585-1610. The castle was still changing its shape in the XVIIth, the XVIII and the XIXth cent., until the years of 1891-1906 when its renaissance character was returned to it. 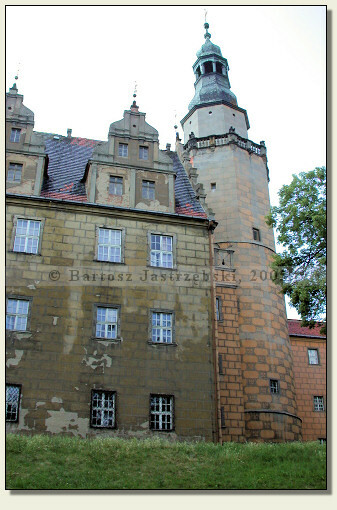 During the World War II the castle was not destroyed, however slightly devastated. The last renovation of the building was carried out in the years of 1970-1976.